While I was working, I heard a weird sound like a branch scraping on the window. There are no trees close enough to scrape the windows in the room I’m in. Then I heard some weird scraping and tapping. 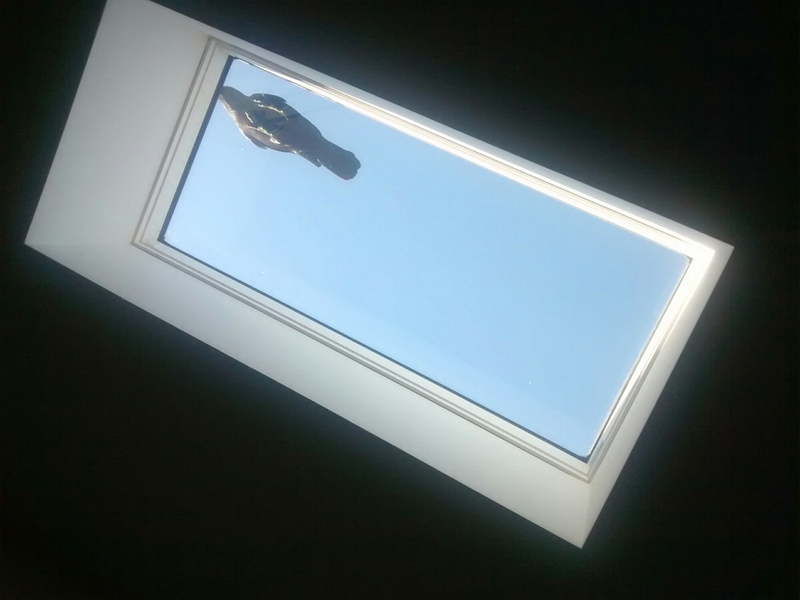 Finally, I looked up. 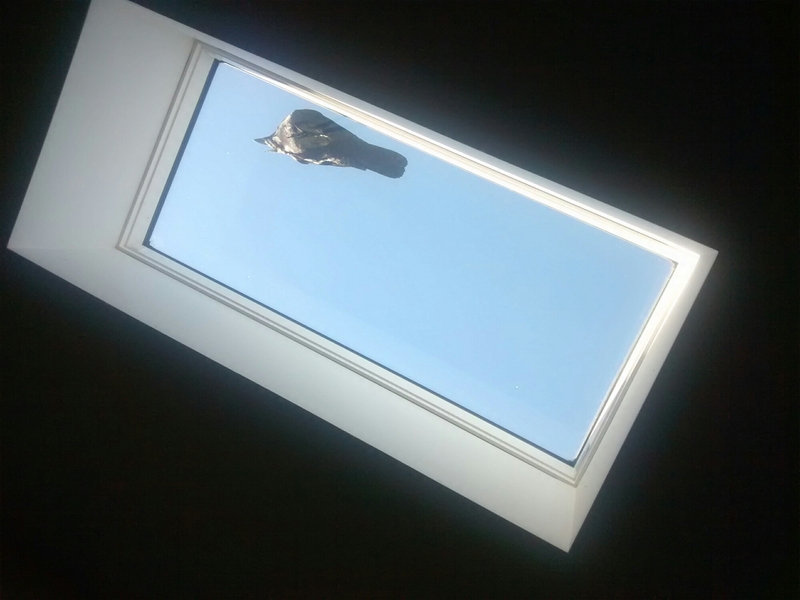 The crow was up on the skylight, walking around and pecking occasionally. Eventually he flew away.